This range of match quality Australian footballs is made from cow analyne leather with 2 inner layers of rubber bonded sheet for greater reformation. Besides, the butyl bladder of the balls ensures maximum air retention. The range comprises of match balls in sizes - 5 & 4. With our years of experience & in-depth knowledge in this field, we are engaged in offering a quality-assured array of Leather Football. Backed by rich industry experience and knowledge, we have been able to provide a broad range of Leather Football. 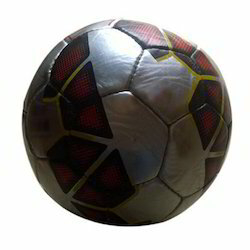 We manufacture synthetic leather footballs with a 3 ply tango design as per the international standards of game. This is fitted with a pin hole valve type bladder. It is made in accordance with the International weight and is available in size 5. 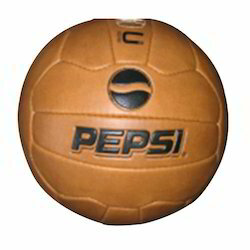 We are producing Leather Football for which, we use superior quality PU rubbers in manufacturing. Due to the implementation of modern technologies we are able to present best products to our valued clients. We offer these Footballs in special packing of size 4, 18 and 32 pieces. These can be availed at industry leading rate.